Hyperbaric oxygen therapy is a treatment for many different conditions, in order to help reduce symptoms or minimize the condition. The process involves staying in a pressurized chamber or tube while breathing in pure oxygen (100 percent oxygen). Normal oxygen levels in the natural air around us is roughly 21 percent oxygen. This is often a treatment for those with decompression sickness, a risk of scuba diving. 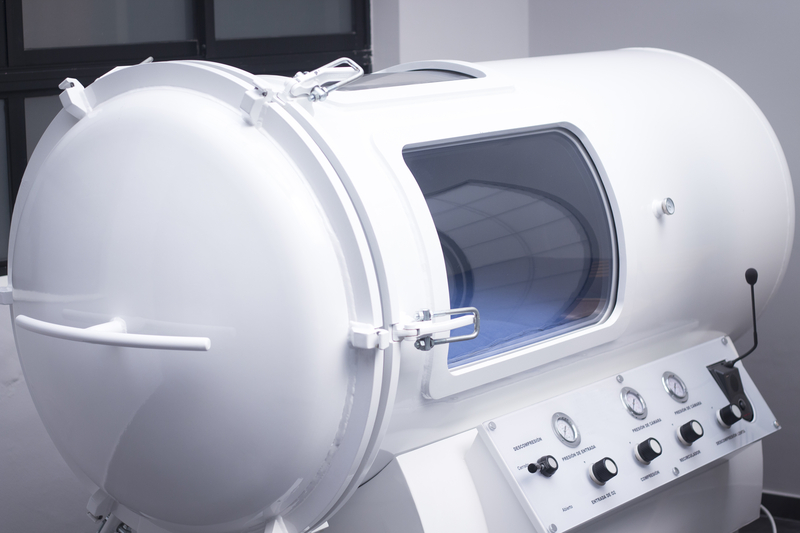 In a hyperbaric oxygen chamber, the air pressure is increased nearly three times as much as normal air pressure. The additional pressure makes it possible for your lungs to gather more oxygen than it would breathing pure oxygen at normal air pressure. This oxygen is then brought into the lungs, into the blood and throughout the body to help fight any symptoms you are experiencing. This heavily oxygenated blood is helpful for healing as the oxygen will help our bodies repair themselves. Hyperbaric oxygen therapy is used to fight bacterial infections and stimulate the healing factors in the body. Your body needs a lot of oxygen to function properly, and without enough oxygen, health issues can arise. Hyperbaric oxygen therapy provides high levels of oxygen in the body, which can help kick start healing and fight infections in the body. With all these conditions and diseases that hyperbaric oxygen therapy can possible reduce symptoms for, there is a lot of hope in this form of therapy. As more studies come out with the results of using hyperbaric oxygen therapy for one condition or another, more physicians may begin to recommend this form of treatment. If you are interested in trying this form of therapy, have a conversation with your doctor to see their thoughts, the possible benefits and risks and determine if you should give it a try or wait until more studies come out. Hyperbaric oxygen therapy is an overall safe treatment, but with every treatment there are always associated risks. Risks such as temporary nearsightedness, middle ear injury (from too much pressure), lung collapse (due to air pressure change), seizures (from too much oxygen) and fire (from the oxygen-rich environment). As these risks are very uncommon, you may be able to try hyperbaric oxygen therapy, but your doctor will judge if your health is fit for this type of treatment. It is possible you may be at a higher risk of developing one of these symptoms, so you may be unable to try this treatment. If your doctor clears you to try hyperbaric oxygen therapy, you may not know what will happen during the treatment. Before you arrive, the clinic will most likely call you to go over what to expect once you arrive and what you should prepare for. As the room is pure oxygen, lighters, and battery-powered devices are forbidden in the chamber. You will also be advised to avoid using hair and skin care products the day of treatment, as they can be potent fire hazards. If the clinic does not contact you, give them a call before your treatment so you know what to prepare for. Hyperbaric oxygen therapy is often an outpatient procedure done in a hospital, but if you are currently hospitalized, you may remain in the hospital after the treatment. Once you arrive at the clinic, you will most likely be instructed to change into fire hazard-free clothing, such as a hospital gown or scrubs. You will then be taken to a room for your treatment either an individual room, or a group room. In an individual room, there is a bed you will lie down in and then be inserted into a tube that closes off and will increase pressure and provide pure oxygen. In a group room, it often has multiple beds or chairs for multiple people to lie or sit down and will have a mask to receive oxygen and hood to go over your head. After you are situated in the room, you may notice fullness in your ears, which means that the pressure has been increased. This fullness mimics the pressure often felt on an airplane, or very high altitudes and can be relieved by yawning or swallowing. If you cannot relieve the pressure in your ears by yawning or swallowing, let the technician working know so they can help you. Depending on your condition will determine how long you will need to spend in the chamber. The average time spent in the chamber is roughly two to three hours and you may need multiple treatments as well. These treatments are normally painless, so you can nap, watch TV or listen to music while you wait for time to pass. After treatment, you may feel tired, lightheaded or hungry, which is all normal. You can also continue your normal activities, as this treatment does not require any down time. In rare cases, it is possible to have a change in eyesight, but it is temporary and will subside within six to eight weeks. The risks of hyperbaric oxygen therapy should be discussed with you before you consent to any treatment. Hyperbaric oxygen therapy is a great treatment that helps the body heal itself, as it supplies high levels of oxygen to the body. There are many different conditions that may benefit from hyperbaric oxygen therapy and hopefully more in the future that can also benefit from it. 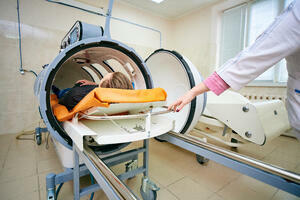 The risks associated with hyperbaric oxygen therapy are small and are normally temporary. When you arrive for hyperbaric oxygen therapy, there is a room you will relax in until your treatment time is up. 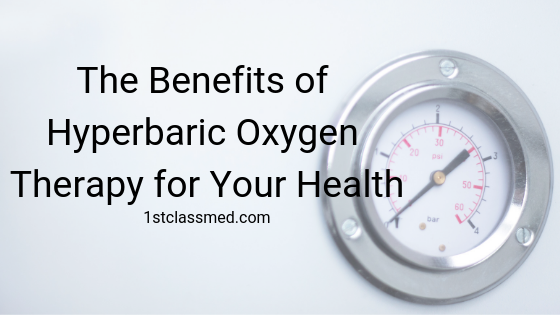 Overall hyperbaric oxygen therapy is still being studied for its benefits and risks but has been proven beneficial for a handful of conditions.